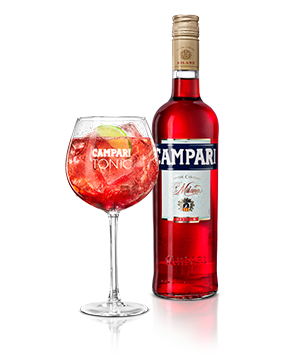 Campari is a spicy drink with a pleasant, quirky and bitter-sweet flavour. Fill a large wine glass with a lot of ice cubes. 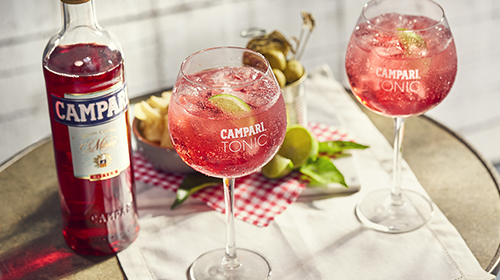 Pour 5 cl of Campari and 15 cl of premium tonic over the ice cubes. Garnish with a slice of lime. Drink it neat, but also tasty mixed. A perfect ready-to-drink mix of Campari and Soda for immediate enjoyment.